Goddess Garden Organics Sunny Body Natural Sunscreen- This is a very nice sunscreen! It uses titanium oxide and zinc oxide as sunscreens. These are my favorites because they're so safe and are unlikely to cause anyone any sensitivity issues. It's also got aloe and shea butter which I love. Unfortunately, it also has lavender oil. Lavender oil is SO common in natural products and really it shouldn't be. Somehow it became synonymous with organicy goodness but really it's a skin irritant and people with sensitive skin should never put it on their face. In aromatherapy? Fine. Very good. But in products that go on your skin? No. 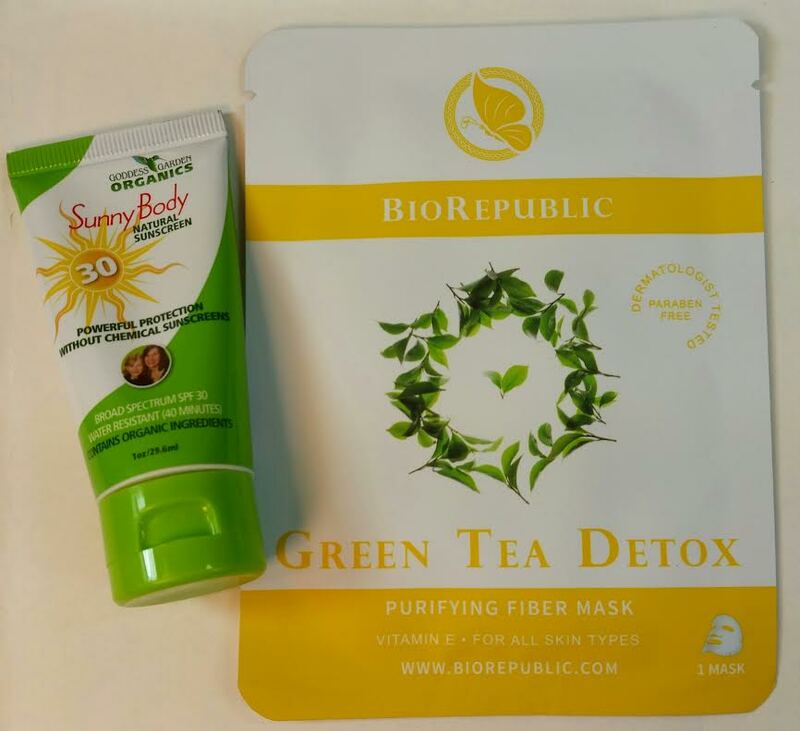 Bio Republic Sheet Mask- I love to see sheet masks becoming more popular! I'm a big fan and this sheet mask has no offensive ingredients like alcohol or lavender oil. Yay! I'm excited to use it because it does use good moisturizers and my face needs all the hydration it can get with all the work I've been doing outside in the sun. Ellovi Tinted Lip Butter- This uses shea butter and coconut oil to moisturize your lips. It also uses a flower called Alkanet for it's tint! Fun! Plus I'm a sucker for lip balms. Seriously. My stash is outrageous and I'll never be able to use them all. 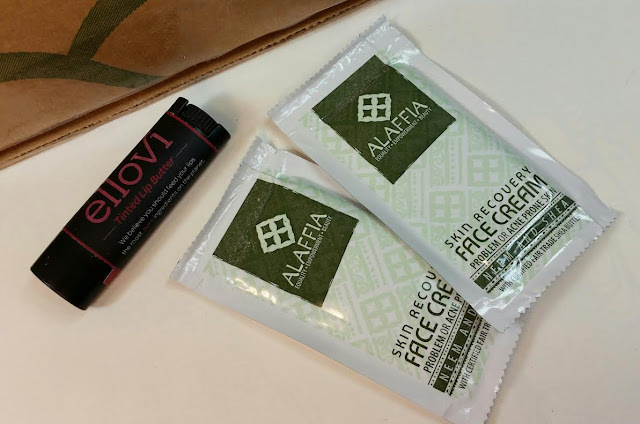 Alaffia Neem and Shea Butter Skin Recovery Face Cream for Troubled or Acne Prone Skin- It's really strange to see neem oil in a skincare product. I mostly associate neem oil with insect repellents and as a natural pesticide that I spray on my garden plants. Neem oil is also an antibacterial agent so it makes sense that it would work with troubled skin. It's similar to tea tree oil although it has less testing behind it. I don't like foil packets. Even when they're large like this. Sealing them is impossible and causes efficacy to be diminished. Rock Island Sponge Company Sea Sponge- How fun! 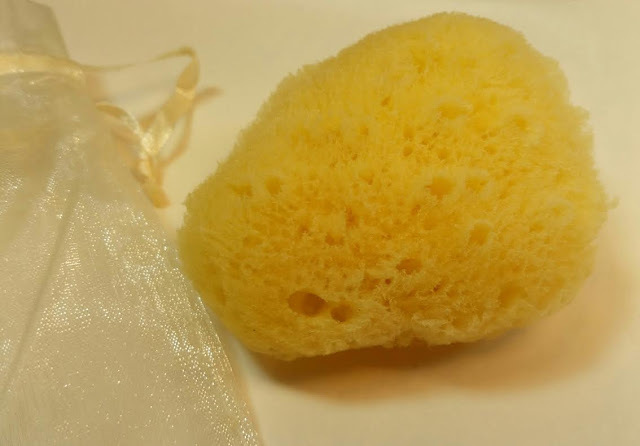 Its a natural sponge and will gently exfoliate your skin while in use. This is so soft and squishy! I can't wait to use it. The only thing I don't like about sponges like this is the difficulty in drying them out. I get all squeamish about bacteria. I still don't recommend this subscription if you're looking for value. You will be exposed to new natural and organic brands and if that's what you're looking for then this might be what you want. Keep in mind that there are other subscriptions like Kloverbox or Petit Vour that will do the same thing with better success. 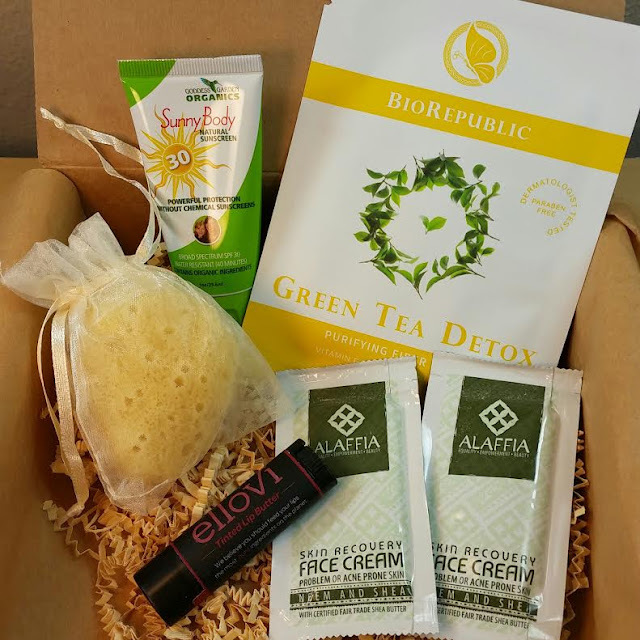 If you'd like to sign up for Bare Bliss Box, you can do so right here. Their website is clean and easy to navigate. You can cancel from your account right on the site, no emailing or calling. Yay!